An internationally recognized chef and leader in the field of postmodern cuisine and an inventor of futuristic food delivery systems, Chef Cantu graduated from Le Cordon Bleu Culinary Institute in Portland, Oregon. After developing his culinary skills at several establishments along the West Coast, he traveled to Chicago to work at Charlie Trotters restaurant, where he rose to the position of Sous Chef. After leaving Charlie Trotters he concentrated on the development of his concept of an experiential design-based restaurant with a molecular gastronomy approach. As Executive Chef at his Moto Restaurant, Chef Cantu and his staff put these concepts and creations into practice, entertaining their guests with imaginative and savory dining experiences. As Chairman and Founder of Cantu Designs, Chef Cantu is working on developing his inventions for commercial and humanitarian applications, and has filed numerous patent applications covering dining implements, cookware and edible paper. Chef Cantu’s innovative approach to cuisine and food delivery has influenced thought across several disciplines. Chef Cantu and his “edible paper” have been featured in Gourmet, Food and Wine, the Wall Street Journal and American Scientist. Fast Company featured Chef Cantu and Cantu Designs in a cover story entitled “Weird Science”, and Cantu Designs’ interactive utensils were part of the exhibit “Feeding Desire, Design and Tools of the Table, 1500-2005” at the Cooper-Hewitt National Design Museum of the Smithsonian Institution. 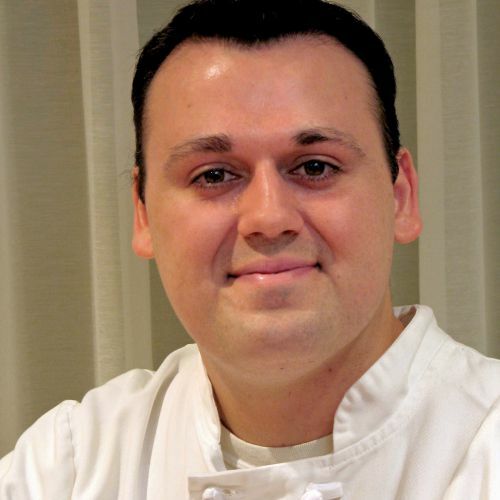 Chef Cantu’s recent television appearances include “Battle Beets – Morimoto vs Cantu” on the Food Network’s Iron Chef America and the Ellen DeGeneres Show.